Melburnian's love a market whether it's art, craft, produce or trash & treasure. Every week there are hundreds of markets open around Melbourne including Australia's longest running market at St Kilda Esplanade every Sunday. The markets listed below is an alphabetical list of Melbourne Art & Craft markets or go to the Market Calendar for markets on a selected date. A new market of local designer and pre-loved 'plus size' fashion, jewellery and more. A Plus Markets is an indoor market with an eclectic mix of stalls having something for everyone. 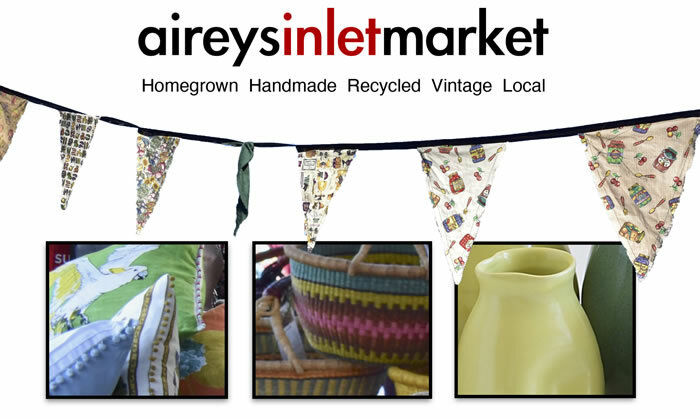 So other than ..
Aireys Inlet Market is a boutique market offering authentic homegrown, handmade, recycled, vintage and local goodies. With a cosy indoor/outdoor setting, the Aireys Inlet Market is perfect in all ..
Come along and grab a bargain a the Akoonah Park market which comes alive every Sunday for produce, craft and variety market. The Akoonah Park Committee of Management conduct a very popular weekly .. The Alexandra Timber Tramway is home to the Alexandra Market and is held in the grounds of the magnificent former railway station in Station Street, Alexandra. Open to all types of stalls, such as ..
We are a baby and kids market where you can buy or sell baby and kids clothes, toys, prams, cots, maternity items and much much more! We also have many stalls selling gorgeous new, boutique and han ..
Melbourne's only weekly street market, the market is extremely popular with the local residents and has attracted a big following from all over Melbourne. 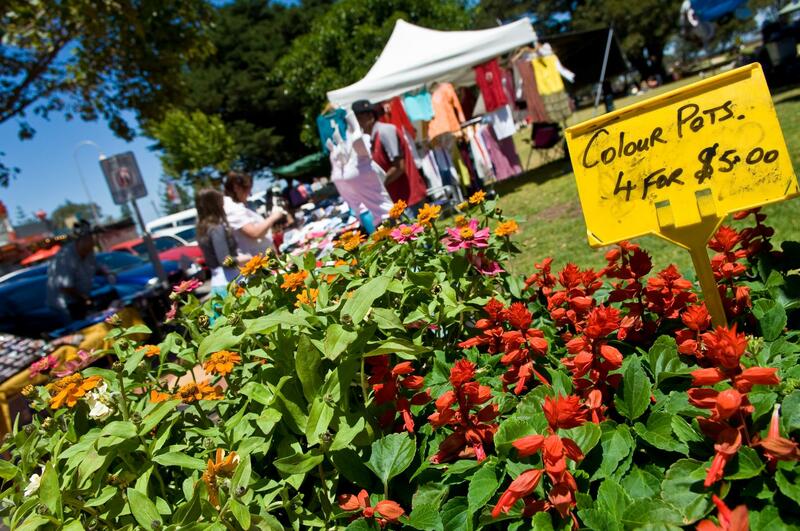 The market is held in Logan Reserve and al ..
Anglesea Riverbank Market is an outdoor market with something for everyone, produce, crafts and clothing raising funds for local organisations. The markets 150+ stalls have something for everyone ..
Come along and revel in wonderful local produce, food, artworks, and crafts, direct from the farmers and makers who gather every Saturday on the Apollo Bay foreshore. The community market is an op ..
Ararat Market is a long established indoor/outdoor market with a variety of stalls, ranging from second hand goods, bric-a-brac, to hand made crafts, soy wax candles, plants, clothing and much more. ..
Ararat Market is a long established indoor/outdoor market with a variety of stalls, ranging from second hand goods, bric-a-brac, to hand made crafts, soy wax candles, plants, clothing and much more. Just over an hours drive from Melbourne, the Avenel Produce and Craft Market well worth the journey. Fresh local produce, local wine tastings and sales, home made chocolates, beautiful wildflowers, .. Between 50 and 70 stallholders provide a varied range of locall goods including wine, crafts, fresh food, plants, garden art and clothing. Local Pyrenees producers and growers. Local community ..
Our Babes to Kids and Maternity Market is a place where you can pick up or sell some new and pre loved clothing for all ages. You can sell or buy anything from baby to kids clothing and maternity w ..
Bairnsdale Makers Market featuring specialist stall traders with inspirational, bespoke heirlooms of the future. A treasure trove of wares that are unique handcrafted, quirky and created with skilf .. The mystic market will consist of various stall holders from tarot card readers, psychic readers, angel card readers, natural health practitioners, a dream interpreter, Aboriginal art and various new ..
A boot market on the third Saturday of the month with a variety of odds and ends for sale! FREE Entry Child Friendly BAIRNSDALE UNITING CHURCH Worship Services 8.00am First Sunday ..
Ballan Market is a popular event, coordinated by the Ballan Lions Club. Local crafts and secondhand goods. Your local Lions Club always has many activities to help our local community, raise f ..
Sunday, June 2, 2019 Housey Housey 12 Armstrong Street North, Ballarat, Victoria 3350 We were inundated with requests to hold another record fair and we listened to you so ............... the ann ..
Barwon Heads Market has over 30 stalls of fresh fruit and vegies, home made crafts and jewellery, home grown, plants, craft, clothing, Devonshire tea and a sausage sizzle in the Barwon Heads Community ..
Held in Memorial Park, this is a country market with a mix of food, arts, crafts, collectables, plants and heaps more. A great country market in a great country town, held on the first Saturday of .. The Beckley Park Community Market (Corio) with over 150 stalls sells everything that you can imagine is held on Saturdays all year round. The market is indoor and outdoor with a large variety of up ..
Set in the township of Belgrave, the Belgrave Big Dreams Market is a place to discover original and bespoke design pieces alongside some of the yummiest and freshest produce the area has to offer. ..
Set in the township of Belgrave, the Belgrave Big Dreams Market is a place to discover original and bespoke design pieces alongside some of the yummiest and freshest produce the area has to offer. With indoor and outdoor stalls, Belmont Sunday Market is open rain, hail or shine! Belmont Sunday market is home to Geelong's Biggest Garage Sale with all sorts of pre-loved treasures, including el ..
Benalla Lakeside Craft & Farmers Market is held along the shores of beautiful Benalla Lake with loads of stalls that have something for everyone. There are stalls with everything home grown, home m .. 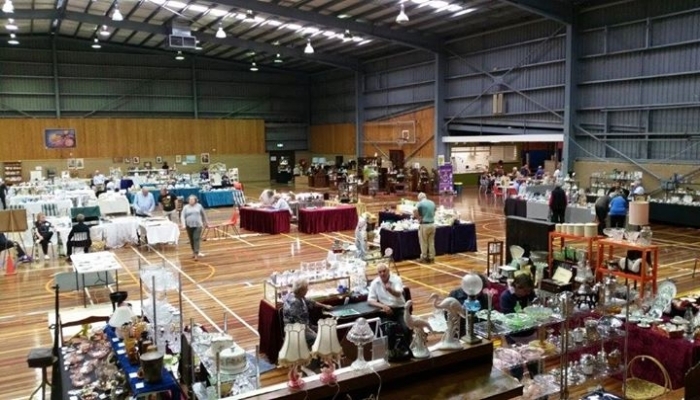 The Benalla Lions Club Antique & Collectable Fair will be held on Saturday 12th October 2019 from 10.00am till 5.00pm and Sunday 13th October 2019 from 10.00am till 4.00pm. in the Benalla Indoor Recre .. The Prince of Wales Showground Market is held every Sunday at the Bendigo Showgrounds; our market is one of country Victoria's best. Come along and enjoy the family atmosphere, free admission and a .. The Bentleigh Sunday Market, run by the Rotary Club of Bentleigh Moorabbin Central every Sunday in the car-park of Bentleigh Railway Station. With over 130 stalls at the Bentleigh Sunday Market, yo ..
Every 4th Saturday of the Month The Rotary Club of Berwick has proudly operated the first Farmers Market in the Berwick area for over 10 years. The market is held on the 4th Saturday of every ..
A variety market of 80+ stalls selling new and used goods, craft, plants and flowers, fruit and vegetables, food, coffee and much more. A bustling country feel close to town on the beautiful Mornin .. This is a lovely Blackburn Station Craft Market is run by the Rotary Club of Forest Hill where you can find garden plants, recycled items, knitted and jewellery items. The market is a favourite b ..
Boho Luxe Market | Glamping Festival 2019 30 August 2019 - 1 September 2019 Royal Exhibition Building Boho Luxe Market and Glamping Festival is for the adventurer in all of us. Experience o ..
Sunday, April 28, 2019 Atrium and Deakin Edge Theatre Boho Luxe Market presents Boho Mama for a huge one-day shopping extravaganza, two weeks before Mothers Day in the Atrium and Deakin Edge The ..
Whilst the kids enjoy the play area and skate park there are plenty of market stalls to keep the adults occupied. Local arts and crafts, unique hand made pieces, food and drink and fresh produce. ..
Whilst the kids enjoy the play area and skate park there are plenty of market stalls to keep the adults occupied. Local arts and crafts, unique hand made pieces, food and drink and fresh produce. Boneo Community Market is held on the 3rd Saturday (since 1977) to raise money for local community projects. A true craft market is what you will find at Boneo Market where all the locals in the kn ..
Saturday 4th of may and Sunday the 5th of May Botanica Collective Makers Market is a cultivated event showcasing the local craft and design community. At the Botanica Collective Makers Market, expe ..
Records, Comics & Card Fair | Box Hill Record and Comic Fair is Australia's longest running fair of its kind offering 1000's of collectible records, rare cards, hard to find comics and lots, lots more .. Friendly Country Market. We are backed by the Inglewood Lions club which allows us to have affordable sites both along the main street of Bridgewater during the warmer months and then at the Town ..
Make It, Bake It, Grow It | 9.00am til 1.00pm on the third Saturday each month. Awesome new location by the river at Howitt Park...in breath-taking Bright A visit to the NEW Bright Markets is sh .. The Brimbank Community Market is open every Saturday and Sunday. Brimbank Community Market is more than a traditional weekend market with a huge area devoted to entertainment, with a circus, amusem ..
Broadford Market is an outdoor* market with hand made, home grown and second hand items. There are over 12 stalls and BBQ facilities. Broadford Market raises much needed funds for the Broadfor ..
Brunswick Artist Market has teamed up with The Spotted Mallard to bring you a monthly dose of homegrown Melbourne art. The Melbourne art scene is ever expanding and full of passionate personalities ..
Vintage clothing, homewares, furniture, knick-knacks, plants and so much more. A bit of trash and a whole lot of treasure! RAIN OR SHINE! All proceeds from the stall rental going to Co-ground to .. Walk into 661 Sydney Road and walk into another experience that is hidden from the street - BRUNSWICK MARKET - a range of fresh food and products opens up to you as you browse the aisles, including: ..
MAKE IT - BAKE IT - GROW IT - RECYCLE IT This is a true community market, with an eclectic mix of fresh produce, plants, locally made goods, and bric-a-brac. The Bruthen Community Market showca .. The Bumble Bee Baby and Childrens Market gives the general public the opportunity to purchase new and preloved goods at low prices We boast a large selection of varied stalls ranging from home made .. Bringing The Community Together! Fresh food straight from the producer. Handmade crafts. So much more. fresh food . straight from the producer . festival vibe . handmade craft Held in the hi ..
Camberwell Sunday Market is a popular trash and treasure market held every Sunday by the Rotary Club of Balwyn, in the carpark at the rear of Burke and Riversdale roads, Camberwell. Only second ha ..
Held in Camperdown's Avenue on the first Saturday of each month (except January). Home produced goods including cakes, produce, plants, clothing and novelties under the avenue of elms. On market da .. The Caribbean Park Market* operates on Wednesdays, Fridays and Sundays a Computer Swap Meet operating every Sunday. There is ample parking and something for everyone's needs whether they want to sh .. The Carisbrook Town Hall Market sells sweets, plants, produce and craft and raises money for the Carisbrook Historical Society. There is a sausage sizzle and refreshment. You can view a hist .. The Castlemaine Artists' Market showcases the unique regional art and design from the richly artistic community. Now in it's 13th year (2019), the Castlemaine Artists' Market continues to go from ..
CERES Makers & Flea Market runs every Saturday. The famous and beloved CERES Makers & Flea Market happens in the market space next to the Organic Grocery. Come and discover useful and beautifu ..
Be apart of the newly relaunching CHAPEL LANE - With it's first ever summer market! Live Music, Popular Food Pop Ups - Savoury and Sweet, Local Designers, Artists, Lifestyle Products, Fashion, Vin ..
Monday 20nd April, 9am - 1pm at the St. Joseph's School Oval. Large range of plants, bric-a-brac, tools, clothes & more. BBQ available and Lions Club jumping castle. Entry is free. This is an a ..
Melbourne Cheeky Monkey Market is a FUN FAMILY Market! We have stall holders selling New items bargain priced Pre-loved items & Unique Handmade items. Melbourne Cheeky Monkey Market has a stro ..
Casey Central Shopping Centre Melbourne Cheeky Monkey Market is a FUN FAMILY Market! We have stall holders selling New items bargain priced Pre-loved items & Unique Handmade items. Melbourn ..
Cheeky Monkey Market is a FUN FAMILY Market! Melbourne Cheeky Monkey Market is a fun well organised and diverse Market! With stall holders selling New items, Business Services & Unique Handmade i .. The Rotary Club of Cheltenham runs a Trash and Treasure market every Sunday with stalls including plants, bikes and tools. Shoppers every Sunday morning 8am - 1pm Location: Undercover Car park ( ..
Lions Club of Altona Cherry Lake Sunday Market is an outdoor market with 80 stalls in the spacious park next to Cherry Lake. There are many bargains to be found at the many craft and bric a brac st ..
Heffernan Lane Chinatown *Opposite QV/Lonsdale On the second and fourth Saturday of every month Heffernan Lane in Chinatown will be packed with the heady fragrance of hawker-style stalls selling d ..
Artisan, handcrafted, vintage, second hand and local style pop up market in Melbourne CBD for 7 weeks. The iconic Fitzroy Market is taking their beloved artisan, handcrafted, vintage, second hand ..
With Christmas and summer looming, markets and fetes are great places to grab those special and unique gifts at bargain prices. This coming weekend there is a diverse range of markets around Melbou ..
Clarinda Craft Market is a Lions community project held on the 1st Saturday of each month*. Come on in for some lovely hand made produce and crafts. Clarinda Community Centre (beside the librar ..
A goldmine of local produce Held on the Second Sunday of every month 9am to 1pm VISIT THREE MARKETS AT THE ONE VENUE: Clunes Farmers' Market, Clunes Makers' Market and the Artisan Food Market ..
Second Saturday each month. Location In the Coal Creek main foyer.. Next ..
Cobram Log Cabin Market is an outdoor market raising money for Cobram Lions Club. The market is held in Federation Park offering local produce and crafts, tools, plants, clothing, bric a brac, hand ..
Coburg Trash & Treasure Market is open every Sunday. The name says it all: trash & treasure! It's like a hundred garage sales in one. Amongst people's junk sprawled onto tables or blankets on the g ..
Cockatoo is nestled in a valley between Emerald & Gembrook. A proud and friendly little town where the Artisan monthly market is held. All goods are made, produced or grown by the stallholders. ..
Cockatoo is nestled in a valley between Emerald & Gembrook. A proud and friendly little town where the Artisan monthly market is held. All goods are made, produced or grown by the stallholders. The Colac Lions Club Market Fresh for fresh produce, preserves, garden plants and refreshments There is a sausage sizzle and over 20 stalls. There is a playground for the kids and music. He ..